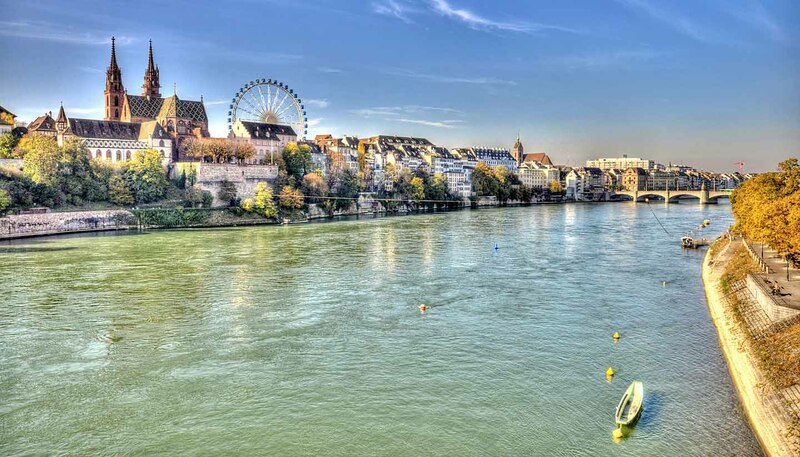 Shopping opportunities are excellent and abundant both within the city and in the region surrounding Basel. One of the key advantages of shopping in the border region is the price difference on various types of goods between Switzerland,France and Germany. Each country has its own price advantages, which serious shoppers can explore. Shoppers will be spoilt for choice of tempting stores and boutiques in the city centre, in the Old Town and around Claraplatz in Kleinbasel. Freie Strasse, the main shopping street, contains numerous upmarket designer and fashion boutiques. You can find many top designers in the famous fashion store Trois Pommes, Freie Strasse 74. For more arty and alternative, but still fashionable goods and for independent stores selling artisan jewellery, antiques and vintage clothing, check out the areas around Schneidergasse (off of Marktplatz), Spalenberg and adjacent little alleyways such as Heuberg and Nadelberg. Every second and fourth Wednesday of the month between 7am and 7pm, shoppers flock to the Barfüsserplatz to seek bargains. There is also a flea market at Petersplatz every Saturday morning. On the same day, market traders gather at the Matthäusmarkt with freshly harvested seasonal produce from the region's fields and farms as well as home-made produce from the Kleinbasel region. There are a number of different shopping centres in the city. Globus, on Marktplatz, is an upmarket department store; Manor on Greifengasse is renowned for its food department. The Stücki Shopping Centre, on Hochbergerstrasse 70, has 80 shops split over two floors while the St Jakob-Park shopping centre, adjacent to the football stadium, boasts with 50 shops. Shops are usually open Monday to Friday 0800/1000-1830/1900/2000 and Saturday 0900-1600/1700/1800. Most shops are closed on Sunday. Basel has many jewellers, watch shops, book stores and chocolatiers. Many tourists pick up Basler Läckerli, a local biscuit, from Läckerli Huus, Gerbergasse 57, which sells traditional and more modern versions. Some luxury stores offer tax-free shopping for tourists.